One of the front runners in this year's Oscars, this film already has a host of noms (including Best Film, Actor, Supporting Actress and Script, amongst others, for Oscar, Golden Globe and BAFTA) and wins on film festivals. 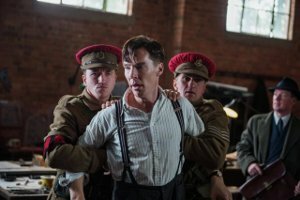 During the winter of 1952, British authorities entered the home of mathematician, cryptanalyst and war hero Alan Turing to investigate a reported burglary. They instead ended up arresting Turing himself on charges of 'gross indecency', an accusation that would lead to his devastating conviction for the criminal offense of homosexuality. 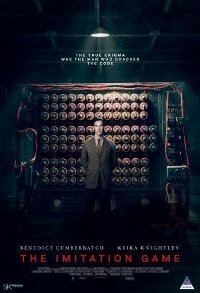 They were not aware of his past during the war, when he lead a motley group of scholars, linguists, chess champions and intelligence officers to cracking the so-called unbreakable codes of Germany's World War II Enigma machine. His breakthroughs eventually led to our modern computers. Biographical, Drama, Gay interest, War, On the art circuit.